Uniquely connected by boat, our three lake communities offer lakeside living in harmony with the landscape’s natural balance and beauty. 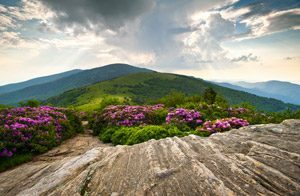 Nestled in the cradle of the Blue Ridge Mountains, our three mountain communities possess a mix of sophisticated culture, breathtaking surroundings and secluded privacy. Our Asheville community provides a private mountain retreat within minutes of both Pigsah National Forest and one of the most vibrant and welcoming cities in the South. As a Member of The Cliffs, you’re given the unique opportunity to enjoy six world-class championship venues every day, with Gary Player’s first Cliffs design under development. You have the pleasure of playing every course and receiving the keys to every clubhouse. When you have only the best to choose from, it’s impossible to make a poor choice. Choose from mountaintop courses, lake courses or meadow and valley courses along winding rivers and through expansive forests. All are stunning in their own way, and each has its own personality. All of our courses are within minutes of each other and challenge every level of golfer. Select from courses created by the most talented designers of our generation: Gary Player, Jack Nicklaus, Tom Fazio, Tom Jackson and Ben Wright. These pros were drawn to the extraordinary beauty and climate of the Blue Ridge Mountains of the Western Carolinas, not to mention The Cliffs’ commitment to developing golf courses that enhance the land and provide a foundation for its sustainability.